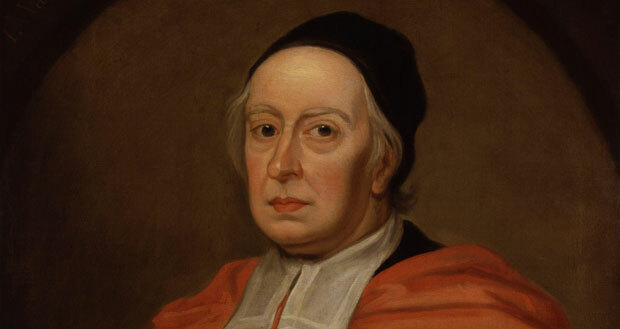 John Wallis was an English mathematician born on 23rd October 1616 in Ashford, Kent. His early education was from a local school in Ashford but later he transferred to James Movat’s school in Tenterden in 1625 after an epidemic outbreak. However mathematics became a major part of his life after he started studying it at Martin Holbeach’s school in Felsted. His early career choice was being a doctor for which he was even sent to Emmanuel College in Cambridge however his interests in mathematics were overtaking his first choice. Wallis received a Bachelor’s Degree in Art in 1637 and a Master’s Degree in 1640. He became a Priest in 1643 and continued to serve in Westminister Assembly till 1649. He was later elected as a Fellow at Queen’s College of Cambridge. Wallis was also involved in the current politics of that time. Wallis’s contributions in many branches of mathematics are of great significance. He made advances in trigonometry, geometry and calculus. He is also credited for analyzing the infinite series. He made many innovations such as introducing the term ‘continued fraction’ and using the symbol for infinity for the first time. He is also said to be the initiator of the number line. John Wallis wrote many mathematical books including ‘Opera Mathematica’ (1695), ‘Institutio Logicae’ (1687) and ‘Algebra’ (1685). His work ‘Arithmetica Infinitorum’ published in 1656 was one of his most significant works in which he worked upon the theories of mathematicians like Descartes and Cavalieri. He had many new ideas which he proved in his treatise. He published a treatise in 1655 which contained his work on conic sections. He defined curves of the second degree removing confusion and thus making improvement in Descartes’s work on analytical geometry. In 1659, he published another work which consisted on solutions of the cycloid problems posed by Blaise Pascal. His book ‘Treatise of Angular Sections’ was not published for almost forty years. Wallis also worked on statics in 1669 and on dynamics in 1670. It is said that it was Wallis who gave proof to the Pythagorean Theorem with the use of similar triangles however it not a confirmed fact. Wallis had another skill and that was to do mental calculations. He used to calculate large numbers in his head and then even remember them the other day. This was considered so much of an achievement that it was even discussed in the ‘Philosophical Transactions’ of the Royal Society in 1685. Wallis also worked in physics, theology, etymology, general philosophy, pedagogy and linguistics. He was given the position of Savilian Professor of Geometry at Oxford, a post he remained at for life. He died on 28th October 1703 having inspired many by his tremendous contributions to mathematics.